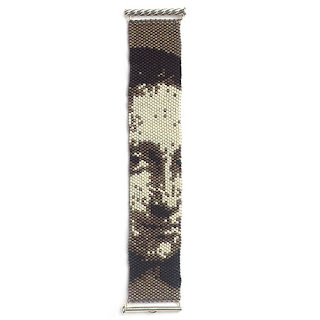 Maybe you saw it in the last issue of Bead&Button...Diana Hiott's rendition of the Mona Lisa for your wrist, all in subtle sepia photo tones. Well, the pattern is available online free, and get this: it only uses 4 colors! Wow Diana, thanks!